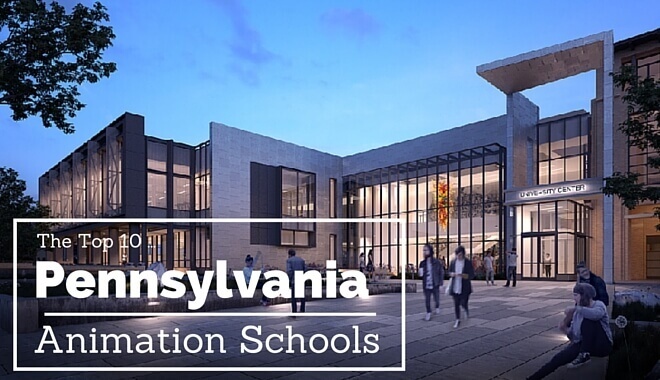 The state of Pennsylvania has a varied number of animation colleges that provide training and degrees in the animation and graphic design field. In addition, you’ll find agencies like JPL Creative always looking for trained talent in the industry. Many other fields also seek out those with training in this growing field. You will find hundreds of academic institutions as well as over 3,000 schools throughout the state. 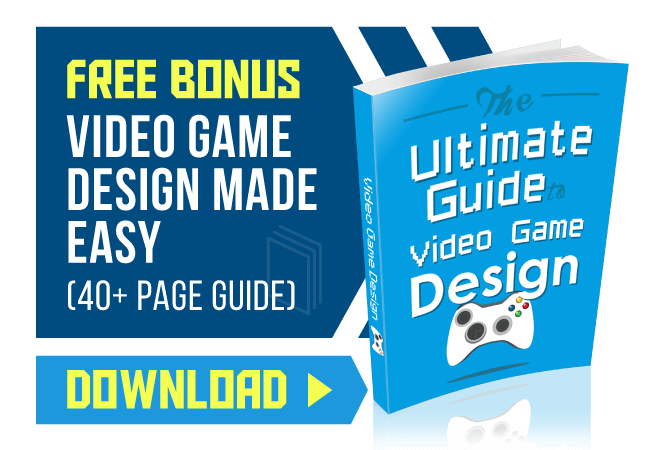 Also, depending on your education track, game design and development studios, graphic and web design companies as well as software publishers constantly seek out graduates from the many certificate and degree programs in the area. Carnegie Mellon University combines their prestigious Bachelor of Computer Science and Art degrees with specialty concentrations and minors that allow you to add animation and game design core components to your studies. With the Animation and Special Effects concentration, you will explore the 2D and 3D animation concepts of performance capture, rendering and special effects. The program aims to combine both art and technology and their collaborative perspectives as they relate to digital animation. 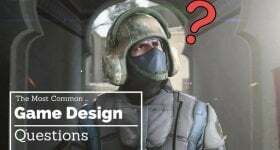 For the Game Design concentration, you will be trained in skill and theory in several key areas devoted to gaming including the narrative and character development components, programming, interface and interaction architecture development and game assessment and redesign. Working in an effective team structure, your diverse teams will work collaboratively to produce well-functioning games. When you pursue an Associate in Applied Sciences in the Information Technology field, you will learn how to combine both practical and theoretical concepts. Within the degree concentrations, you will find options for both Interactive Multimedia and Game Development. This degree will prepare you for an entry-level position in the multimedia and gaming industry, where you can begin a career or continue to take your education to the next level. With specialized courses available to enhance your knowledge of multimedia and gaming core concepts, your academic exploration into information technology will give you the opportunity to add core courses to complete your specific concentration. You will train with expert faculty who will introduce you to a wide variety of audio and visual media used in the industry with courses in graphics, video and animation. The Douglas Education Center provides an Associate Degree experience that explores the world of graphic design. The goal of the program is to train you in the skills necessary to navigate the world of digital design and pursue a career in this competitive industry. You will learn how to create digital content that is fresh and effectively communicates the messages being designed. Within the program, you will explore web design, 2D animation and the manipulation of photos, computer art, graphic design and composition. You will also train with faculty to learn the many facets of multimedia through advanced graphic design, layout and type and become involved in a professional skills workshop designed to fine tune your skills. 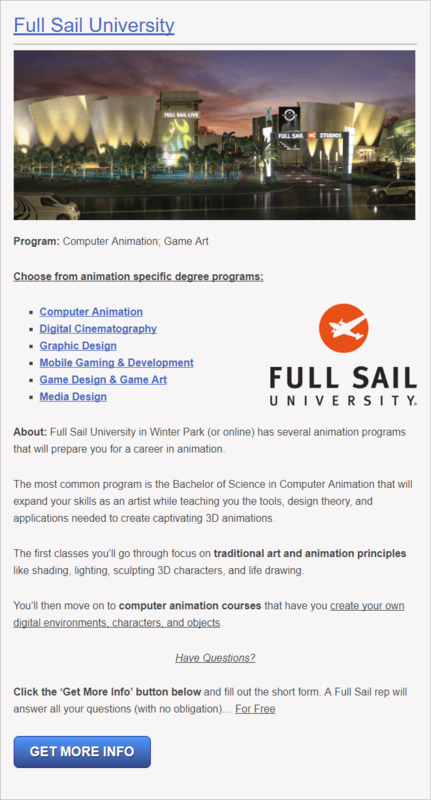 If you are interested in an education in the animation and digital arts industry, earning your Associate of Applied Science in Computer Generated Animation and Digital Arts is a highly focused program designed to put you on the path to a career in the industry. Graduates of this program will be ready for entry-level careers as graphic artists, photographic and video composers, 3D modelers, animators and more. Beginning with a valuable foundation in traditional art concepts and building with training in digital arts, you will work with industry-standard software in order to produce static and motion graphics that will give you the practical experience you need. This degree can provide you with an excellent portfolio creation opportunity that will allow you to achieve entry-level employment, or it can be a stepping stone to a more advanced degree if you wish to take your education to a higher level. If you are looking to pursue a Bachelor of Science in Media Arts and Animation, the diverse program at the Art Institute of Pittsburgh can give you the in-depth career training necessary to obtain employment in this exciting and dynamic industry. There are many different careers available that this degree will prepare you for, including working as a 2D and 3D animator, 3D modeler, digital illustrator, storyboard artist and more. While studying in the program you will begin with artistic foundations in color, drawing and character design. From there, you will train in the principles of 2D and 3D animation and move into story development, layout and the special effects necessary to enhance graphics like the professionals. The program utilizes the most up to date industry software and training from instructors with direct industry experience, so you will become familiar with what truly happens in that world. Today’s animation experts will use the design and story-telling techniques, combined with the use of the latest technology to succeed in this highly competitive field. Building upon a strong foundation of core courses designed to provide you with all the tools needed in digital media, you will also explore other areas of specialization. This is achieved using industry-standard software crucial to your being able to compete in the field. Included in this comprehensive program is a six-month cooperative that will include the principles of animation. Students who complete this program will be prepared for positions that involve production of animation in many fields including medical research, performing arts, higher education engineering, web content as well as the big-budget theatrical films that require animation expertise. You will be ready with advanced skills in technology, theory and culture in the world of animation and visual design. Explore your potential in the digital design field with this interdisciplinary degree. This program is designed to keep pace with the unique requirements of this fluid environment by immersing you in the intellectual, creative and intense technical needs that enable you to succeed in this competitive field. You will experience a diverse program that will give you the educational tools to meet the multitude of challenges faced by today’s digital artists and designers. Successfully develop your skills and produce images, objects and interactions in several environments such as real, virtual and imagined. The curriculum is created with advanced digital development in mind. You will acquire expertise in the analyses, processes and techniques of animation and digital design. Considering the collaborative nature of the industry, the learning studio environment builds upon these principles and gives you experience in a team environment designed to help you see a project from the initial storyboard concept all the way through to project fruition. You will leave the program well-versed in graphic communication, computer programming and with excellent working skills in visual thinking. The University of the Arts believes that anything is possible when you pursue a degree in the world of animation. The core principles of the program are designed around the concept that you, as an accomplished and well-rounded contemporary artist can achieve success in a multitude of fields. Whether you are seeking to enter the advertising field, the independent graphic design field, interactive media or even the pinnacle of animation at studios such as Disney/Pixar or DreamWorks, the education you receive will enable you to go where your career dreams take you. You will be presented with a highly challenging, dynamic learning environment created to evolve your skills to be intellectually autonomous and highly adaptable. During the course of your studies, the animation program will challenge you to expand your limits beyond your comfort zone. Collaboration with other artists will spark your creativity and allow your talents to grow throughout your time there. There is a focus on collaborative programs that allow you to interact with other actors, artists, dancers and musicians who will inspire your creativity and help it grow. Your education in animation is a diverse one. Learning the techniques of hand-drawn characters and objects, 3D animation, stop motion and more will be a large part of your curriculum. Building on the concept of animation that is present in so many fields and now a part of everyday life from phones, computers and the big screen, you will develop the ability to understand that anything that can be imagined can be animated. Learn to develop strong traditional skills, tell engaging stories and create characters that are memorable. Successful graduates of the program have gone on to work on big-budget special effects films, commercials, video games and animated television series.